The Duo Collection of innovative kitchenware has been created by Joseph Joseph for a whole new market, with products carefully designed to appeal to a broad range of consumers. 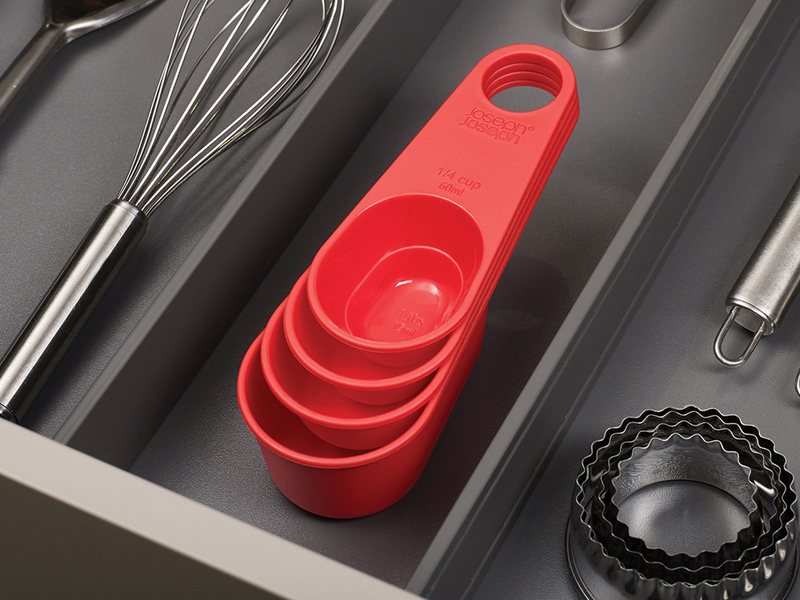 Available in a bold red colourway, this set of measuring cups features a neat, space-saving design whereby the cups fit inside one another and the handles clip together allowing for easy storage. In a set of four the measuring cups included are 1 cup (250 ml), 1/2 cup (125 ml), 1/3 cup (85 ml) and 1/4 cup (60 ml).